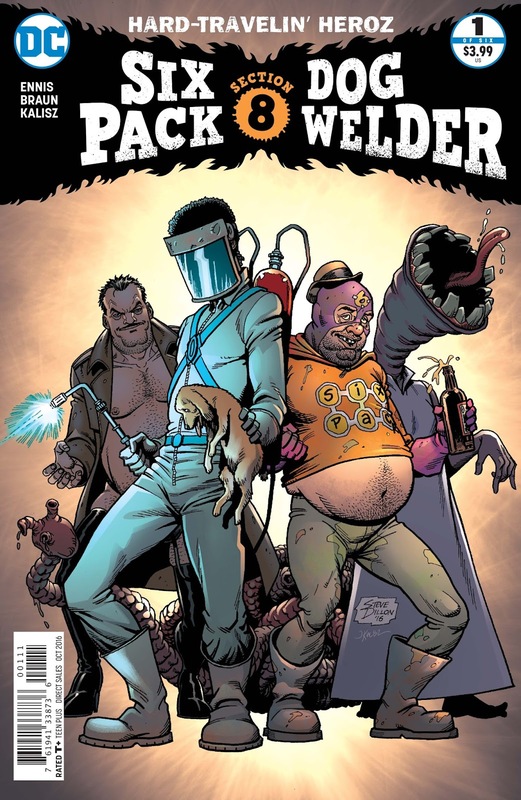 “Sixpack and Dogwelder: Hard-Travelin’ Heroz #1,” written by Garth Ennis with art by Russ Braun and John Kalisz, begins with Dogwelder searching for his past; Sixpack (in his own drunken way) strives to get the team together. Bueno Excellente and Guts are having marital problems. A mysterious character offers a bit of life changing advice to Dogwelder, and hints a bit about his ‘true nature.’ Maybe our team is meant for something greater? This dark comedy stars the least successful superhero team in the DC Universe. Issue #1 is a clear re-introductory edition. Therefore, background is necessary even to grasp the nastiness of the characters. 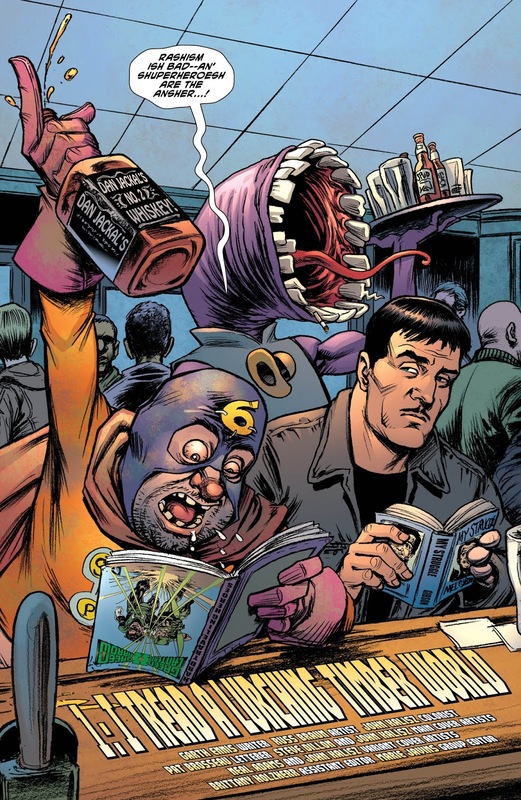 Sixpack and Dogwelder first burst onto the scene in John McCrea’s Hitman (#1). The team is most known for defeating the demons known as The Many-Angled Ones with an ending that’s… not so glorified, let’s just say. The shock value and obscene humor has never been stronger than in this episode. This story-arc, being a part of the Rebirth line, is expected to get crazier and crazier as the arc progresses. 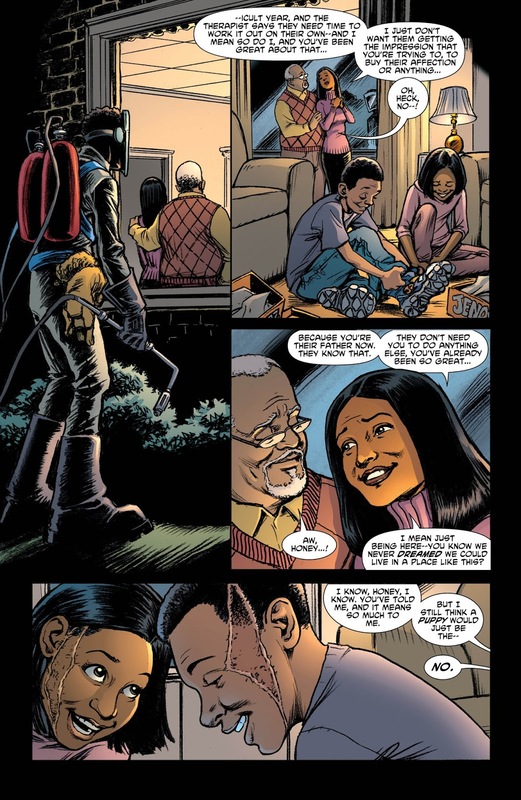 Ennis adds characters from Gotham just for fun and the team is in utter disarray. It will take a miracle for the team to completely reconcile and get back together. 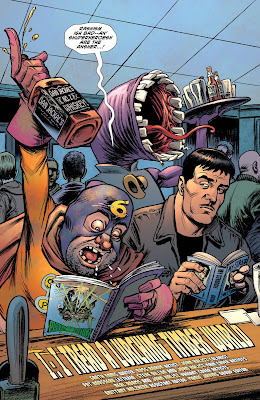 Interestingly enough, Dogwelder’s background delivers the complexity readers want. The creepiness of Dogwelder peering in on his old family as they discuss getting a puppy is just the beginning of a great background story. 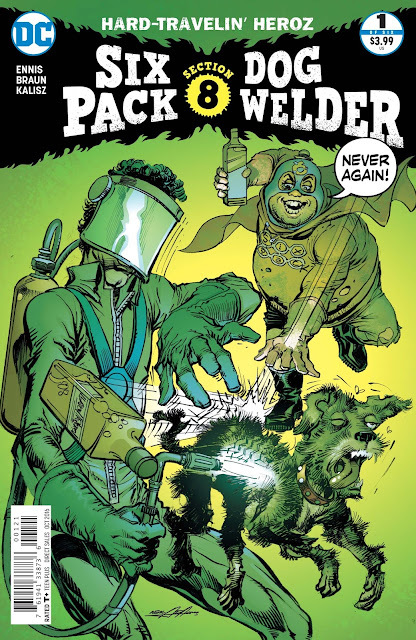 The secrecy surrounding Dogwelder’s origin is very successful especially with the added mystery of the trench coat wearing/cigarette smoking guy in the alley. THE VERDICT: This re-introductory issue frankly falls flat . If you are a lover of comics with high expectations, then this issue is not for you. The plot has difficulty coming together as well; even though it’s a #1 issue, you would still need to be debriefed or have researched all of the characters and previous story-arcs to figure out what is really happening. However, all isn’t lost. Dogwelder’s background and origin does give the plot some complexity, as does Sixpack’s moment of clarity. Ennis hopefully will build on these two pillars and deliver more concise episodes as the story-arc continues.